The justice system in Nigeria has been plagued with several factors which have contributed to the slow and unsteady grinding of the law especially as regards criminal matters. These factors which seemed institutional have led to the propositions of various strategies for reforming the ailing system of administration of justice in Nigeria. Gladly, the Administration of Criminal Justice Act 2015 has brought those reforms to the fore. For the purposes of criminal jurisdiction, Nigeria is divided into the North and the South. The criminal justice system in the north was based on the provisions of the Criminal Procedure Code (CPC) while the south had its criminal administrative system based on the Criminal Procedure Act (CPA). However the Administration of Criminal Justice Act 2015 merged the Criminal Procedure Act (CPA), Criminal Procedure Northern State Act 2004 and CPC into one principal Federal Enactment to apply to all Federal Courts across the federation. 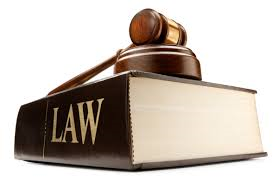 There are numerous laws contained in the ACJA 2015 which are welcome and have been needed for a very long time. A study of these provisions reveal the aim of the Act is to promote efficient management of the criminal justice institutions, ensure speedy dispensation of justice, protect the society from crime and preserve the rights and interests of defendants and victims of crime. For instance, it was the culture of the police to arrest a family member or kin in place of an accused person, however, Section 7 of the ACJA which deals with arrest prohibits arrest in lieu. This means a person shall not be arrested in place of a suspect. Furthermore, the Police have been accused of torture and inhuman treatment in the past hence the Act in Section 8 also provides that a suspect shall be accorded humane treatment having regards to the dignity of his person and shall not be subjected to any form of torture, cruel, inhuman or degrading treatment. It was a normal phenomenon for accused persons to allege torture by the police before making confessional statements hence the provision of S. 15 (4) ACJA provides for - electronic recording of confessional statement on video or any other audio visual means. This is to curb the allegations of violence on suspects while in custody and to prove the voluntariness of that statement in court. S.24 (1) ACJA also in a bid to prevent congestion of police stations and detention centers provides for - the Chief Magistrate or where there is no Chief Magistrate within the police division any magistrate designated by the Chief Judge for that purpose, shall at least every month, conduct an inspection of police stations or other places of detention within his territorial jurisdiction other than the prison. Section 270 also brings about the introduction of plea bargaining – The Act states that - the defence can write to the Attorney General for plea bargain; the prosecution may enter into plea bargaining with the defendant, with the consent of the victim or his representative during or after the presentation of the evidence of the prosecution, but before the presentation of the evidence of the defence. Also the IPO must also be informed of the plea bargaining agreement. S. 293 -296 of the ACJA provides that a suspect shall not be remanded for not more than 14 days at first instance and renewable for a time not exceeding fourteen days where “good cause” is shown. At the expiration of the remand order, if Legal Advice is still not issued, the court shall issue hearing note to the Inspector General of Police and Attorney General of the Federation or the Commissioner of Police or any other authority in whose custody the suspect is remanded to inquire into the position of things and adjourn for another period not exceeding fourteen days for the above mentioned officials to come and explain why the suspect should not be released unconditionally. Where good cause is shown, the court shall remand for a period not exceeding fourteen days for arraignment of the suspect and where good cause is not shown, the court shall have power to discharge and release the suspect. S.396 (7) ACJA – checkmates the effect of elevation to the court of appeal from the high court wherein judges who had been elevated will leave all case files and pending suits before their courts behind, matters which are usually reassigned to other judges and directed to start afresh. This is indeed another novel provision in the ACJA. Section 396 (7) ACJA provides that a High Court Judge elevated to the Court of Appeal shall have the discretion to continue to sit as an High Court Judge only for the purpose of concluding any part- heard criminal matter pending before him at the time of his elevation and shall conclude the same within a reasonable time. Sadly the ACJA applies to Federal Courts and the F.C.T, meaning not the provisions will not be applicable to states and state high courts, however Lagos State has passed its own Administration of Criminal Justice Law which is similar to the ACJA. It is recommended that other states adopt the provisions of the ACJA and ignore the provisions of the CPA and CPC which have become old and archaic.